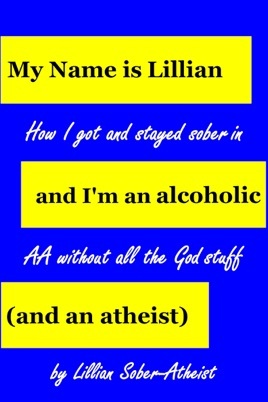 My Name is Lillian and I’m an Alcoholic (and an Atheist) is one side of a conversation about sobriety from a secular perspective. In a series of short, fun, "warts and all" essays, Lillian describes how she uses the tools of Alcoholics Anonymous to build a better life without dependence on God or a Higher Power. Anyone looking for help, but uncomfortable with AA’s use of Judeo-Christian spirituality will find a refreshing take on sobriety and life. I really enjoyed the "book". Not sure what to call it, but it was an interesting, enlightening and enjoyable read.